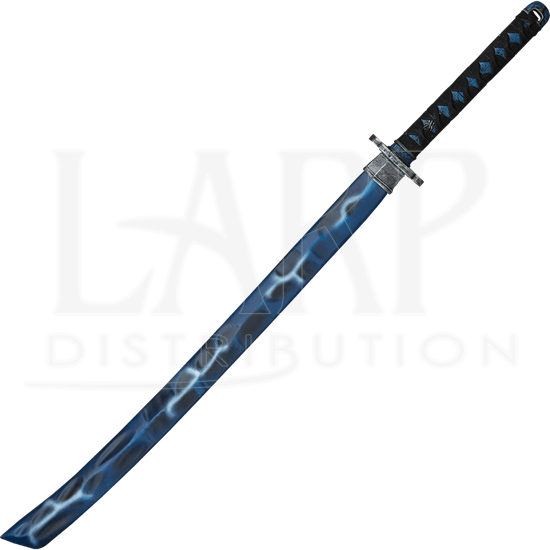 If you wish to wield a weapon that has been imbued with the power of a lightning storm, look no further than the Alluvium LARP Katana! The long blade of this foam latex weapon appears to crackle with the electric energy of a storm! The blade of the Alluvium LARP Katana is made from a closed cell foam that encases a flexible fiberglass core and a strong Kevlar tip. The foam of the blade has been painted a deep blue with jagged streaks of white along its length, like lightning at night. The flower-shaped tsuba guard of the katana features a similar blue in its petals, while the frame is colored to resemble iron. More blue can be seen peeking out from underneath the wrapping of the handle. 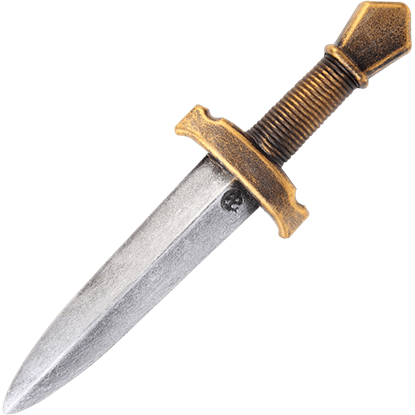 Add this incredible LARP blade to your LARPing gear and be the baddest warrior on the field when you decimate your opponents with it! 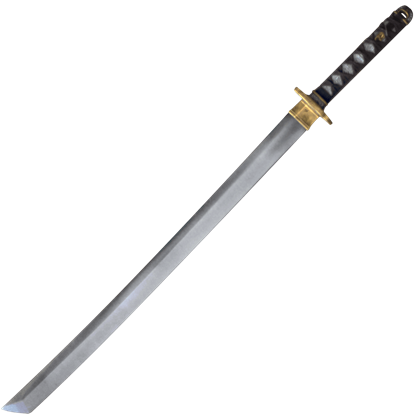 The Alluvium LARP Katana has an overall length of 39.4 inches. Please be aware that this measurement can vary slightly, as it is a hand-made item. Latex weapons do need to be maintained to a certain degree. We offer a Maintenance Silicone (MCI-2000) that can be purchased separately in the LARP Accessories section. We recommend that you use this silicone on a regular basis. It is an easy, spray on application, and it will keep the coating flexible, which will make the weapon last much longer. The maintenance silicone also protects to the coating from drying out, and helps the weapon resist general wear and tear from normal use. This is a very efficient frog design that holds your LARP sword at your waist. 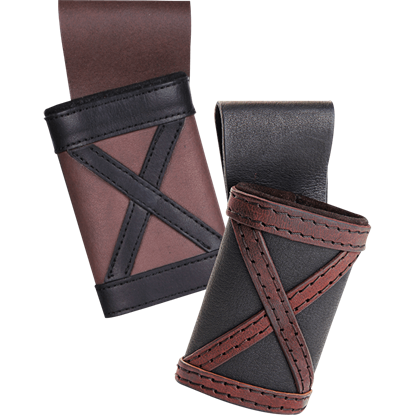 It fits a variety of belt sizes. 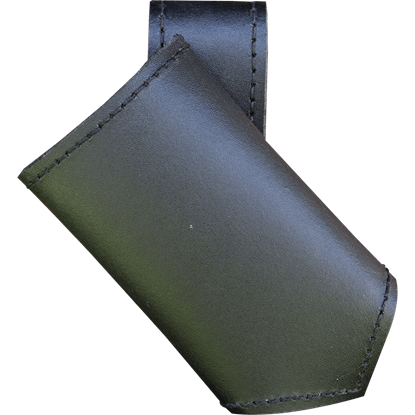 This is intended for LARP weapons only, and can be ordered to accommodate either a left or right hand draw. When you need to be well-armed for a battle or secret mission, make sure you can carry as many weapons as possible. 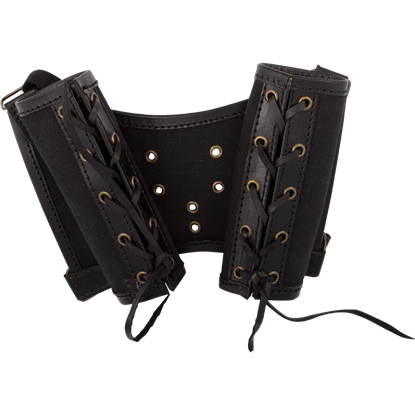 The Ready for Battle Double Sword Harness offers a great option for toting two blades with ease and comfort. Anxious cries from the village captures the attention of a wandering samurai. Without hesitation, the Japanese warrior unleashes revenge upon the bandits. The LARP Dai Katana handles smoothly in the masterful grasp of the ronin. Your sword guides you. Your sword protects you. And it is awesome. Why would you hold it in a run-of-the-mill sword frog? 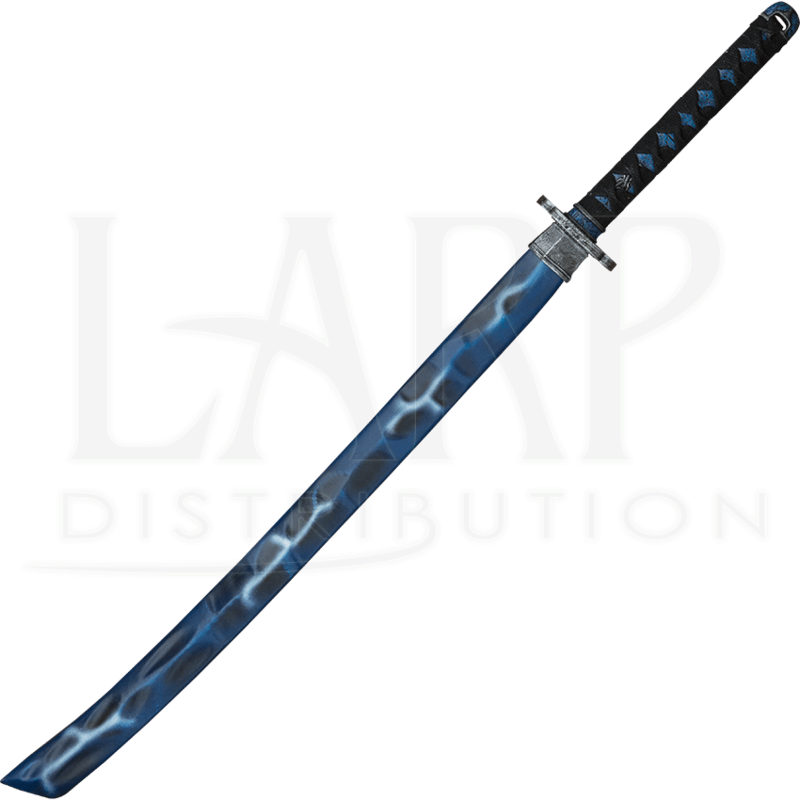 Show your LARP weapon the respect it deserves when you hang it at your hip from the stylish Leon LARP Sword Frog. Just because you are fighting to the death in a bloody battle against the forces of darkness does not mean that you should resort to rugged weaponry. Luckily, the Auric LARP Throwing Dagger is the perfect blend of function and fashion.